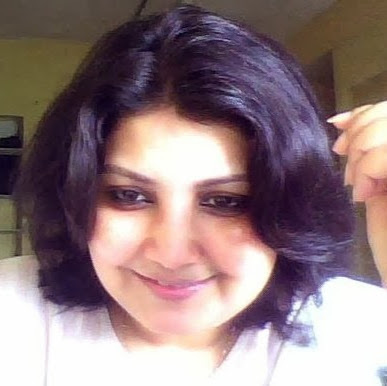 We are now writing to express our grave concern regarding imminent threat of arrest and harassment of New Delhi based journalist, feminist activist and human rights defender Ms. Sheeba Aslam Fahmi for expressing her opinion over social media which are supposedly ‘anti-national’. A communication dated 3 December 2013 from the Asian Human Rights Commission. Ms. Sheeba Aslam Fahmi is a reputed writer, journalist, social activist and a regular panellist in news channel debates. She uses social media as a medium to express her views and opinion as a part of her journalism. “’Friday, August 26, 2011 9:44 AM subject **Warning*** Warning* **Warning ***Warning ***Warning* **Warning ***Warning ***Warning*** Sheeba Aslam, stop posting Anti­Indian and Anti­National comments on Facebook. Stop immediately. Otherwise be prepared for its consequences. ***Warning*** Warning*** Warning* **Warning ***Warning ***Warning***Warning***. “As per section 66 A of The Information Technology Act, the message is grossly offensive and criminal in intent having menacing character and the sender is liable to be charged for prosecution under section 66 (A) of The same Act. However, the defense argued that the email was sent as a comment of objection to her opinion and did not, therefore, amount as ‘information’ as provided under section 2 clause (v) of the Information Technology Act, 2000. Acting on this argument, Metropolitan Magistrate has discharged Mr. Dwivedi from the charges under section 66 (A) of Information Technology Act 2000 and observed that the postings/publication of Ms. Fahmi attract the provisions of Indian Penal Code under section 153 (A), 153(B) and section 295 A . He, then, directed the police to register a separate FIR against her and investigate the publication as published by her on social media. He also ordered the police to file the compliance report that was to be submitted by November 16, 2013. However, Ms. Fahmi came to know this development only through media on December 3, 2013 and she was informed by the police when contacted personally that the police authorities will act on the order only after the conclusion of the election in Delhi which is scheduled on December 4, 2013. (c) any electronic mail or electronic mail message for the purpose of causing annoyance or inconvenience or to deceive or to mislead the addressee or recipient about the origin of such messages, hall be punishable with imprisonment for a term which may extend to three years and with fine. All human rights defenders in India are able to carry out their legitimate human rights activities without fear of reprisals and free of all restrictions, including judicial harassment in all circumstances.